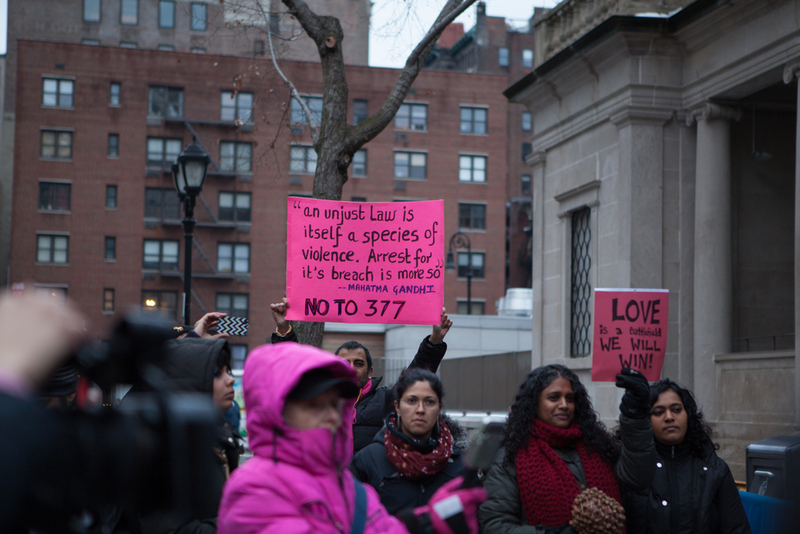 Section 377 is a ridiculously colonial, intrusive law in the Indian Penal Code that criminalises consensual sexual activities "against the order of nature". On 9 July 2009, the Delhi Hight Court declared the section, introduced in 1860 by the British to be unconstitutional. 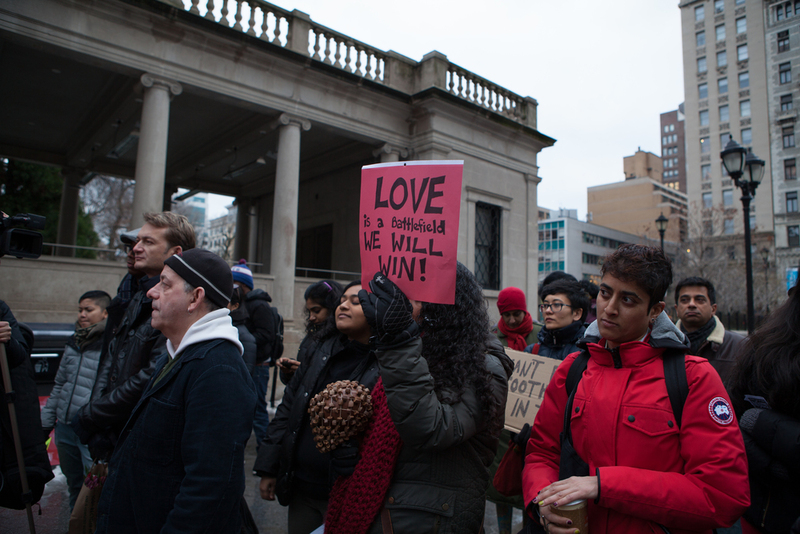 It was a huge win for the Indian LGBTQIA community. 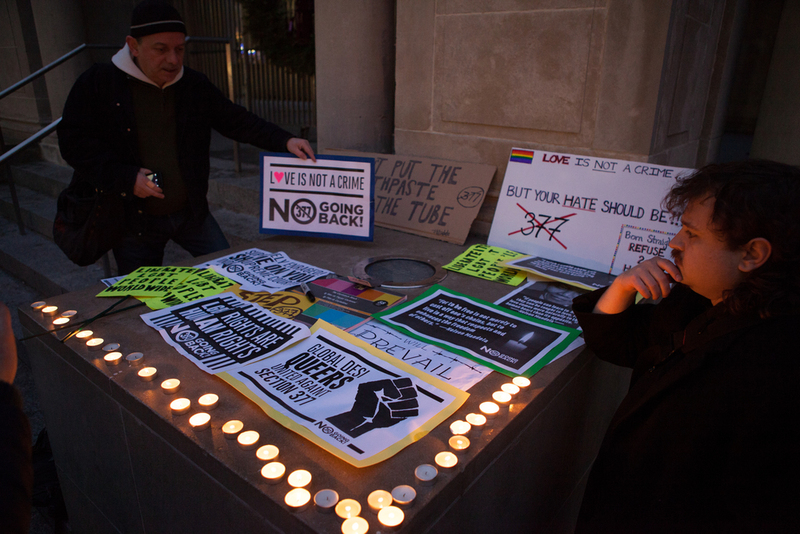 However, in one regressive verdict on 12 December 2013, the Supreme Court of India dismissed the High Court verdict, re-criminalising homosexuality. 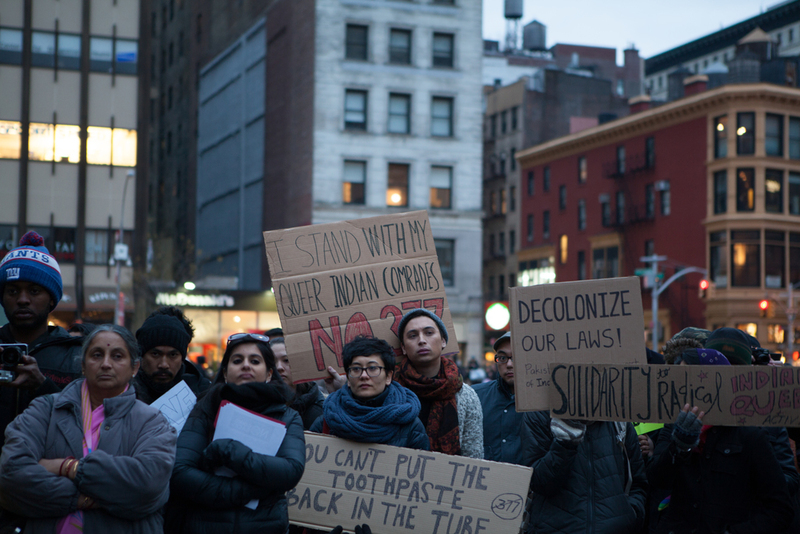 This set back was protested not only across India, but by South Asians all over the world. 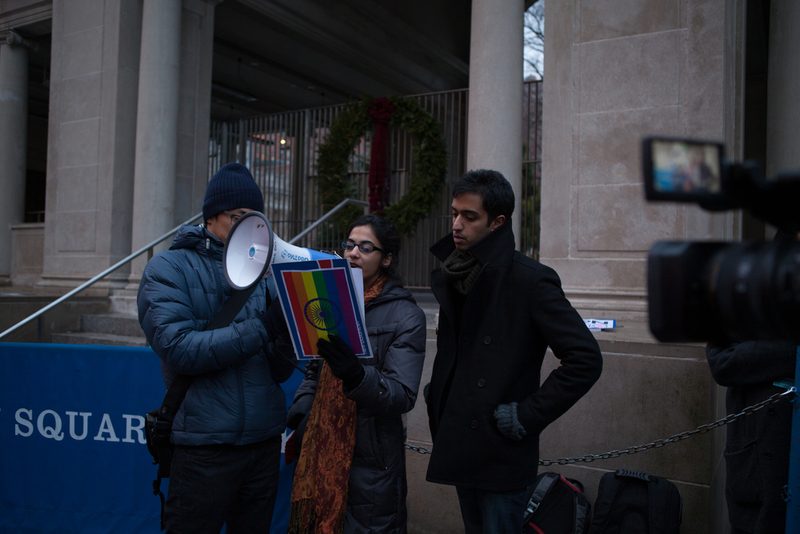 On 15 December, 2013 supporters and members of the South Asian LGBTQIA community in New York City gathered at Union Square, in protest of the reinstating of Section 377.